The Maruti Dzire petrol AMT is available in three trim levels - VXi, ZXi and ZXi+. The Maruti Suzuki Dzire ZXi Plus AMT, which is the range-topping petrol automatic version, is priced at Rs 8.41 lakh (ex-showroom, New Delhi, as of April 18, 2017). As this is the top-spec petrol auto trim, the Maruti Dzire ZXi+ automatic is loaded to the gills. Most of its features are carried forward from the ZXi trim. The standout goodies of the ZXi Plus AMT are automatic LED projector headlamps with daytime running LEDs, 15-inch diamond-cut alloy wheels and a 7-inch SmartPlay infotainment system with Apple CarPlay and Android Auto support. 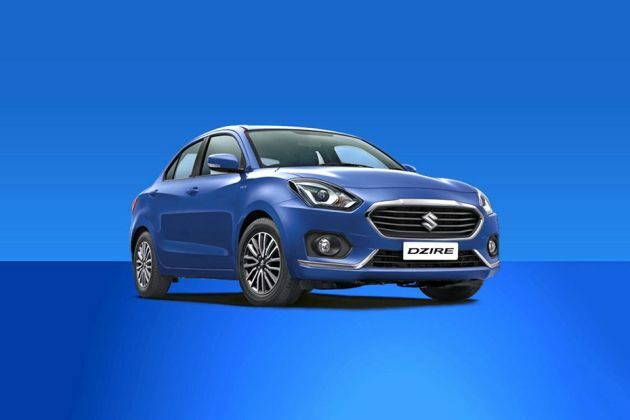 As far as safety is concerned, all variants of the Dzire, including the ZXi Plus petrol AMT, come with dual-front airbags (driver and front passenger) along with ABS (anti-lock braking system), EBD (electronic brake-force distribution) and brake assist. Moreover, the Dzire also comes with child seat anchors and seat belts with pre-tensioner and force limiter as standard. The ZXi Plus additionally offers a rear camera with parking sensors, front fog lamps and rear defogger. The 1.2-litre K-series motor which powers the automatic version of the petrol Dzire is one of the most common engines in Maruti's lineup. The 1,197cc, four-cylinder petrol motor puts out 83PS of max power and 113Nm of peak torque and is mated to a 5-speed AMT (automated manual transmission) in the Maruti Suzuki Dzire ZXi+ AGS automatic. The ARAI-certified fuel efficiency of the Maruti Dzire ZXi Plus automatic is 22.0kmpl, which is identical to its 5-speed manual counterpart.